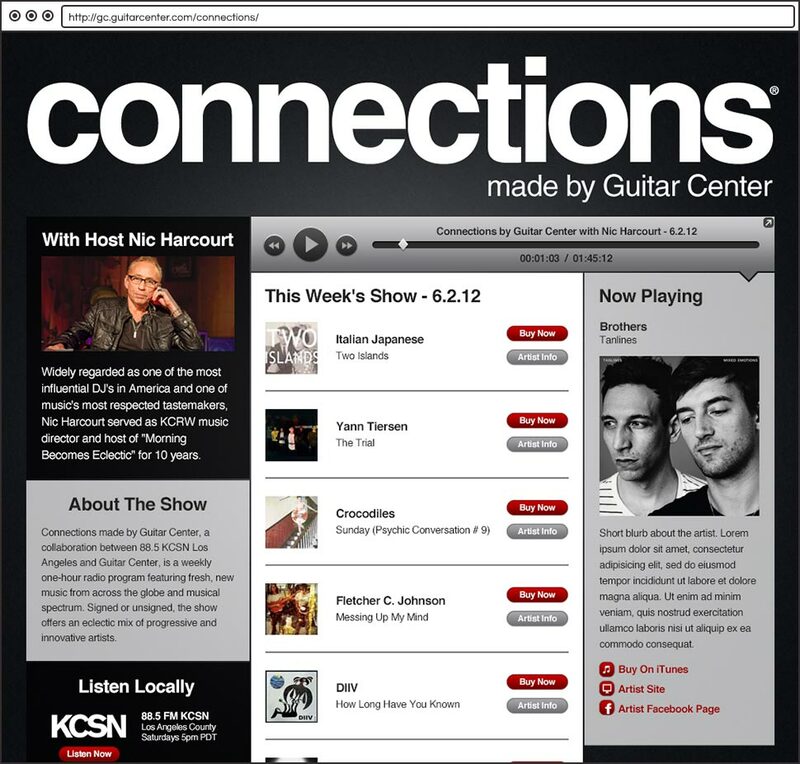 Connections Made by Guitar Center is a weekly, one-hour, streaming music program featuring a mix of innovative and up-and-coming artists. I was responsible for the research, ux and visual design. Connections is another Guitar Center brand initiative aimed at bringing value and building relationships with its customer base. Users are able to listen to this week’s show, view additional artist info, purchase albums via iTunes, view archived shows and submit their own music for consideration. I’m happy to report the Connections site won a 2013 Webby in the Radio and Podcast category. Hooray! 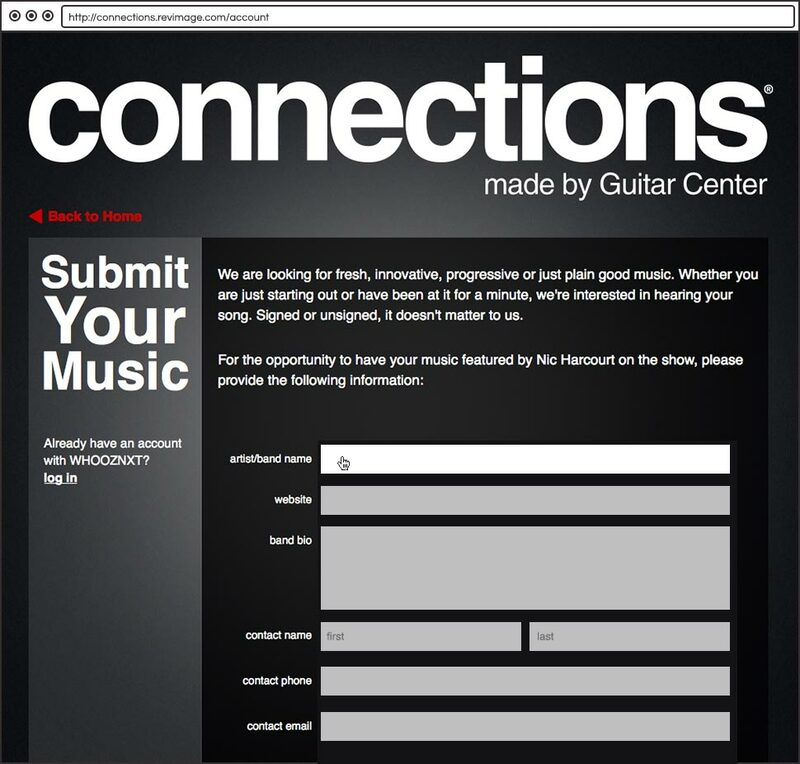 Additionally the site has received thousands of artist submissions and continues to be a staple in the Guitar Center brand outreach initiative.